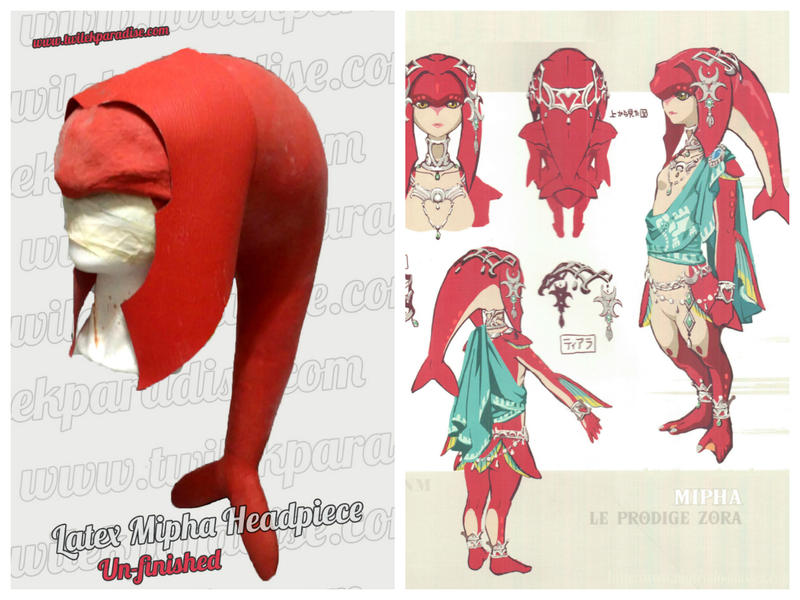 Mipha the Zora’s princess from The Legend of Zelda: Breath of the Wild. Latex headpiece. This work has really excited me, the character captivated me just watch it !! I have a couple of commissions that will soon be finished. If any of you want one of these can send an email to enter the order queue. The price? More than a togruta, because this work consists of some parts.